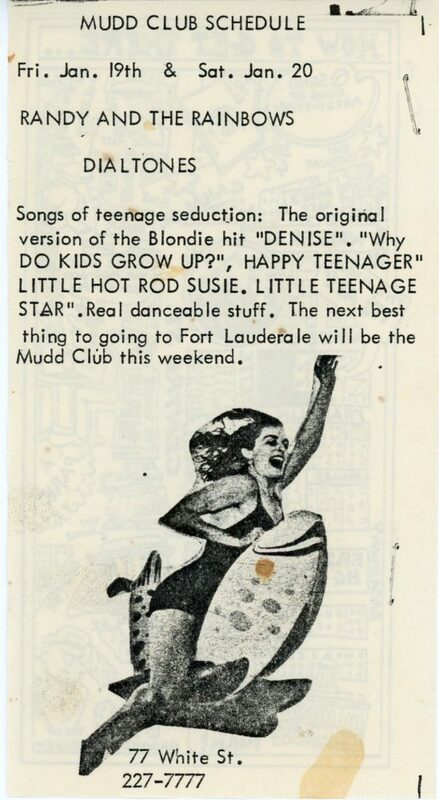 Map and schedule for The Mudd Club’s music lineup. Friday, January 19 – Randy and the Rainbows. Saturday, January 20 – Dialtones. 1979. 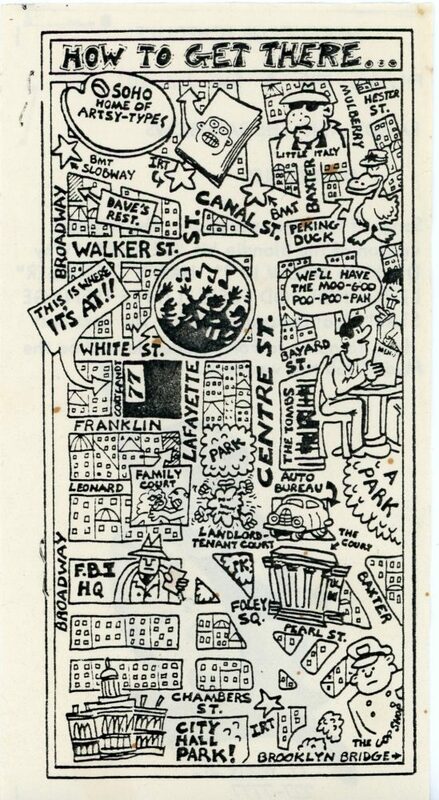 Illustrated map on front of card by Ken Weiner of Punk Magazine.